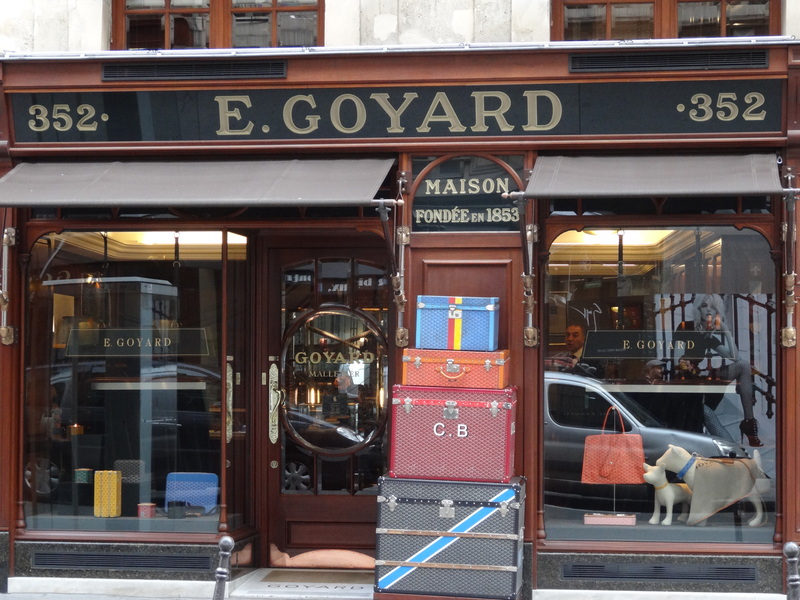 There can be no hiding from my inexorable and unapologetic love of all things Parisian. The music of the old Montmartre dance halls has the power to transport me to a parallel consciousness; its abundant art collection contains some of the most incredible masterpieces the world has ever seen; and its streets are so atmospherically romantic, that images of the city litter my London flat. And yet for all of the sensations and memories which I attach to the city, and which I rely on whenever, during the year, I feel those familiar pangs to be there, there is no substitute for visiting the city itself. And with trains from London to Paris’ Gare du Nord taking a mere 2.15 hours, it would be silly not to. So each year, around Christmas time, when the city is getting cold, when the chic winter fashion is having its airing, and when the cosy little Christmas markets are being set up along the wide stretches of the Champs Elysées, I tend to take the lightening-speed train journey under the Channel sea, to visit the city I love above all others. My excuse for visiting every year is the fantastic array of new art exhibitions which the city does so well every autumn, but in fact very little excuse is needed other than the undeniable need to plug my yearning soul back into this bastion of culture and civilisation once a year. Having just embarked on my 2013 stay, the pages of The Daily Norm are about to go all belle Paris on you, and by way of kickstarting the season, I thought a quick photo of the week was due. For this week’s photographic focus, I have been a little greedy, selecting more of a theme than a single shot, but one nevertheless worthy of the attention. 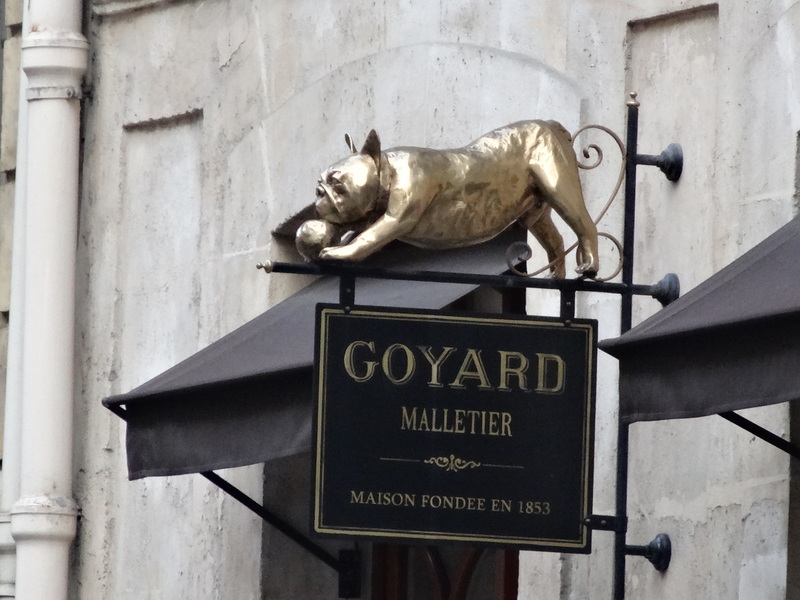 For if there is one thing that sums up the chic glamour of Paris for me, it is a Parisian’s dog. Never far from any resident of the city, a Parisian and his or her dog seem to be as inseparable as the French to their baguettes, and the city just wouldn’t be the same without the sight of those cute little well-dressed, perfectly preened dogs trotting alongside their equally debonair owners. 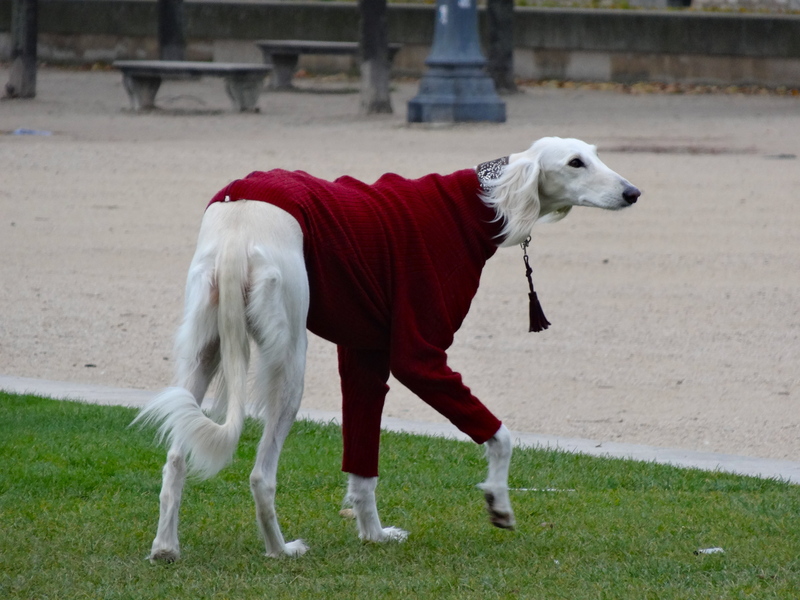 This week’s principal photo, and the shot that inspired me to write this post, is this photo of a svelte curly tailed chien, its beautiful long white hair contrasting delectably against its super stylish red pullover – a sight which is surely too sleek to be found anywhere but in Paris. This dog (someone will have to help me with the breed) was certainly an eyeopener, capturing the attention of many a photographing tourist as it passed by in the Jardin des Tulleries (myself included). However, she was not alone. 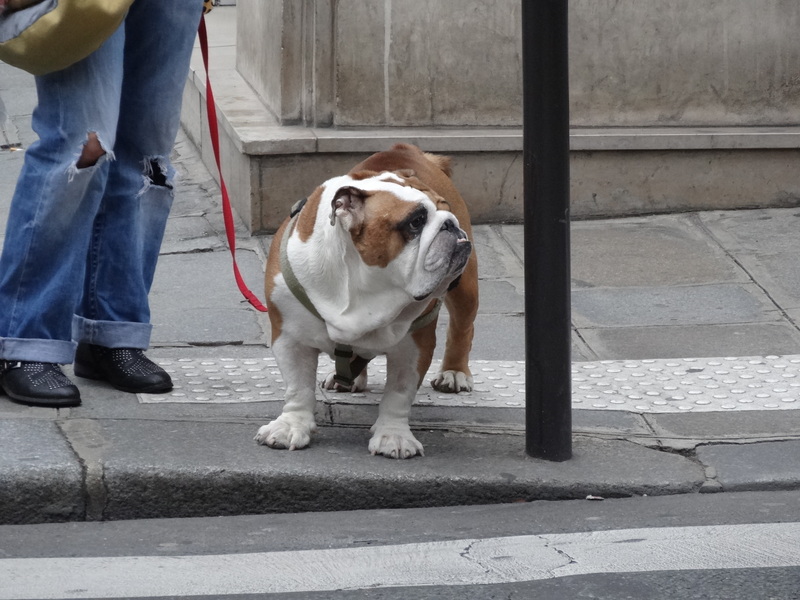 In the remainder of this post I include a few other super cute doggy shots from the trip – one little dow-eyed doggie sitting so well behaved in the lobby of our hotel; another sleepy bulldog waiting patiently to cross the road. 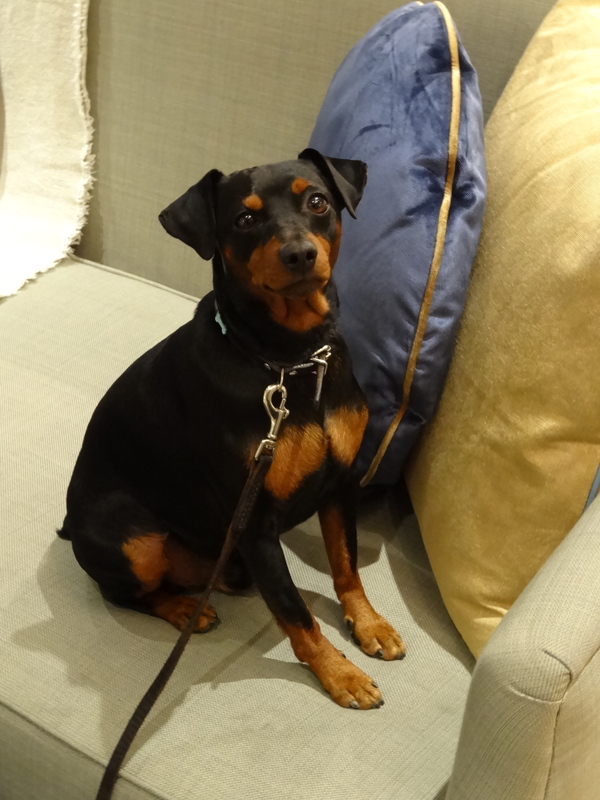 And to top it all off, the chic boutique on Paris’ stylish Rue St Honoré which just about sums up the Parisian’s attitude to dogs – their very own doggie boutique, located in amongst the Prada’s, the D&G’s and the YSL. In Paris it’s surely a dog’s life. ← Announcing the details of my May 2014 solo art exhibition! As I share your love for the city… I can understand the ‘pangs’. Paris is so generous it gives everyone something foe every season. I enjoyed this dog angle. The dog in red is gorgeous. I would say it is a Borzoi (a Russian wolfhound). That dog has nicer clothes than me!